If we needed a reason why both Paulson and Soros like NovaGold, now we have one: Tom Kaplan, a billionaire investor who bought NovaGold before either of them.Here’s one reason to think Soros pays attention to Kaplan’s investment in NovaGold, a relatively obscure company: Soros has done business with Kaplan before. 10 million of seed money from Soros helped Kaplan when he founded Apex Silver Mines in 1995. NovaGold is an exploration based firm that scouts land for mining and then partners with huge firms like Barrick to actually mine the ground. Both Paulson and Soros, two huge hedge fund managers, bought into NovaGold in the first quarter of this year. Their investments in NovaGold were big news. A number of investors follow Paulson and Soros and soon wanted to invest in NovaGold. Nathan Vardi, a writer for Forbes, has discovered that Tom Kaplan was actually the first billionaire investor to take a large stake in NovaGold. Vardi says Soros’s and Paulson’s (and everyone else’s) moves followed Kaplan’s lead. Kaplan is a billionaire investor and an “ideas” man whose moves might be watched by other money managers. Right now Kaplan is very bullish on gold. 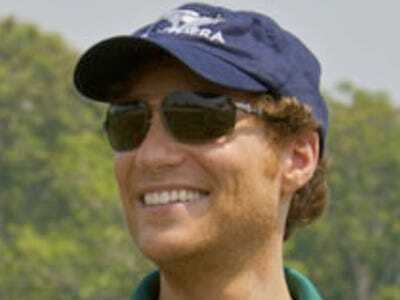 He bought (through his company, Electrum Strategic Resources) a 28% stake in NovaGold for $70 million in January 2009. He has warrants to buy more. Tigris Financial Group, Kaplan’s family office, manages close to $2 billion in gold assets. Soros and Paulson are right there with Kaplan on the gold train. Soros was the 4th largest shareholder in SPDR last quarter. His fund is 7.5% invested in SPDR. Gold is Paulson‘s biggest bet right now. 17.07% of Paulson & Co is in SPDR Gold Trust. Paulson also launched a fund dedicated solely to gold. So Paulson and Soros were bullish on gold to begin with, but if it weren’t for Tom Kaplan, NovaGold might never have been on their radar.